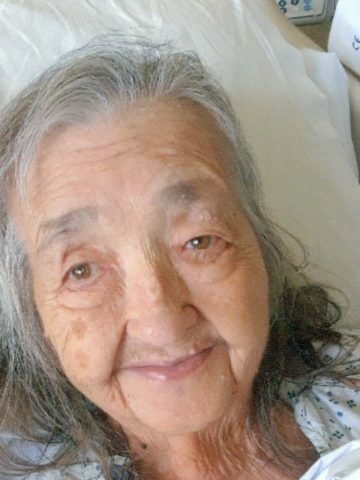 Lula “LuLu” Mai Smith, passed away at home with her family by her side, Wednesday, August 29, 2018. She was born in Macon County, September 1, 1938 to the late Arlie Henson and Bertie Nunley. The last surviving of their five childen, she was predeceased by her siblings, Walter Hester, Willie Neal Henson, Myrtle Love, and Johnny Henson. She was also preceded in death by two of her children, Wilma Smith and John Smith. Family was everything to Lula. She loved every get together and was especially fond of the holidays. She loved her church (Todays Victory Church), bluegrass and gospel music. Lula is survived by her husband, Thomas O. Smith whom she married in 1956; three daughters, Kathy Gammill (Darrell), Marilyn Perkinson (William), and Rita Smith (Randy); five grandchildren, James Perkinson (Kacie), Kaitlyn Perkinson, Kristopher Perkinson, Matthew Smith and Jacob Smith; and her great-ganddaughter, Adalynn Rose Perkinson as well as her many friends and extended family members. Visitation will be held Friday at Cole & Garrett Funeral Home, Friday, August 31, 2018 from 4 – 8 PM and on Saturday, September 1, 2018 from 10 AM to 2 PM at Todays Victory Church, 121 East Ave., Goodlettsville followed by a Celebration of Life service at 2 PM in the church. Burial will be in Eulia Cemetery, Lafayette, TN. She was one of the sweetest ladies I have ever known. She will not soon be forgotten. Thomas and family, so very sorry for your loss. Love you all. Sister Smith will be missed. She was so sweet, and kind, loving to everyone. She loved the Lord and stood by her church , and church family. I’m sorry for your loss. You are all in my prayers. Lifting this loving family up in prayer! They are wonderful people with a genuine love for the Lord. Sister Smith will be dearly missed but leaves behind a legacy rich in love through her family and friends. May she rejoice with the Lord and enjoy her reward with our heavenly Father. Sending prayers to Mr. Smith & the family. Very lovely lady. That smiled all the time. I loved Lulu very much and we will surely miss her. She always said I’d be the little red headed boy riding my bike in the holler. Prayers to all, you’ll all be in our thoughts and prayers. Love you all, Larry and Martha and family !! !